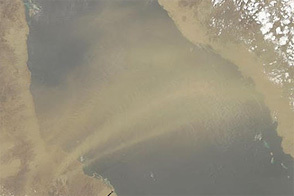 The Moderate Resolution Imaging Spectroradiometer (MODIS) on NASA’s Terra and Aqua satellites observed the intensification of a dust storm in the eastern Sahara Desert on February 25, 2012. The top image shows the Terra overpass (11:20 a.m. local time) and the bottom image shows the Aqua overpass (2:30 p.m. local time). 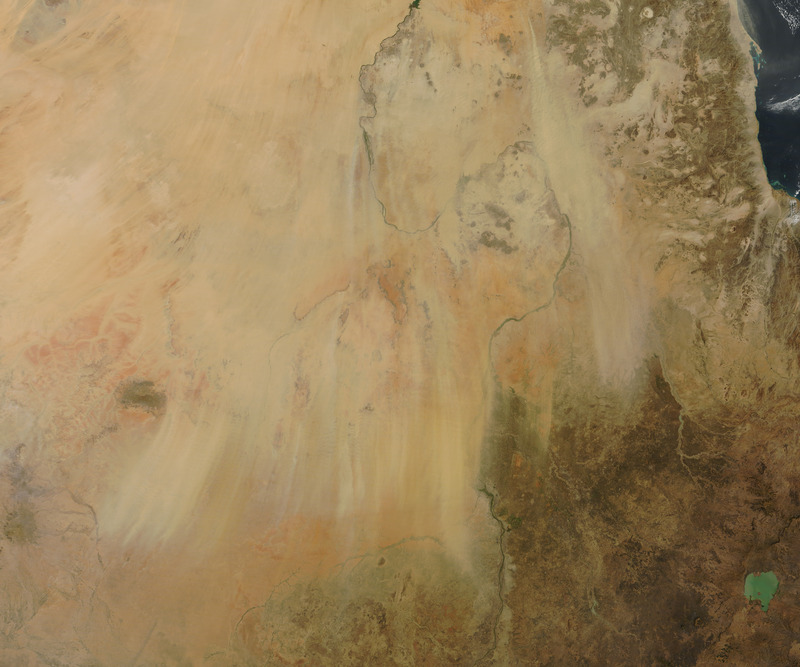 Multiple dust plumes arise from discrete source points—one such point is near the top edge of the image—and blow southward. 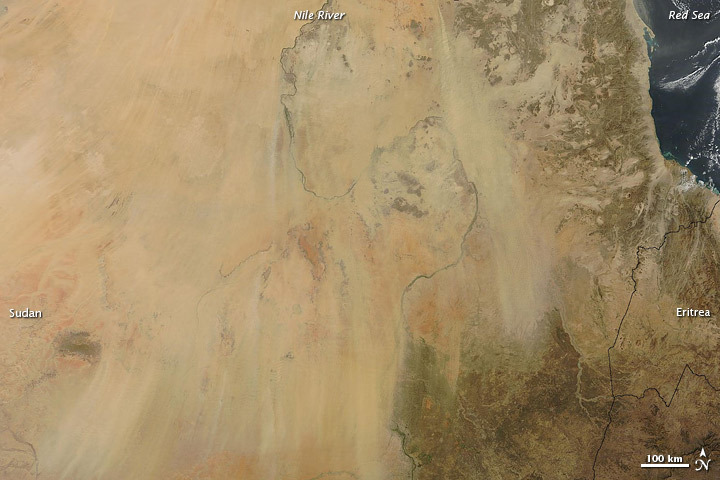 Fine sediments from ephemeral rivers and sand seas all provide material for dust storms in this region. 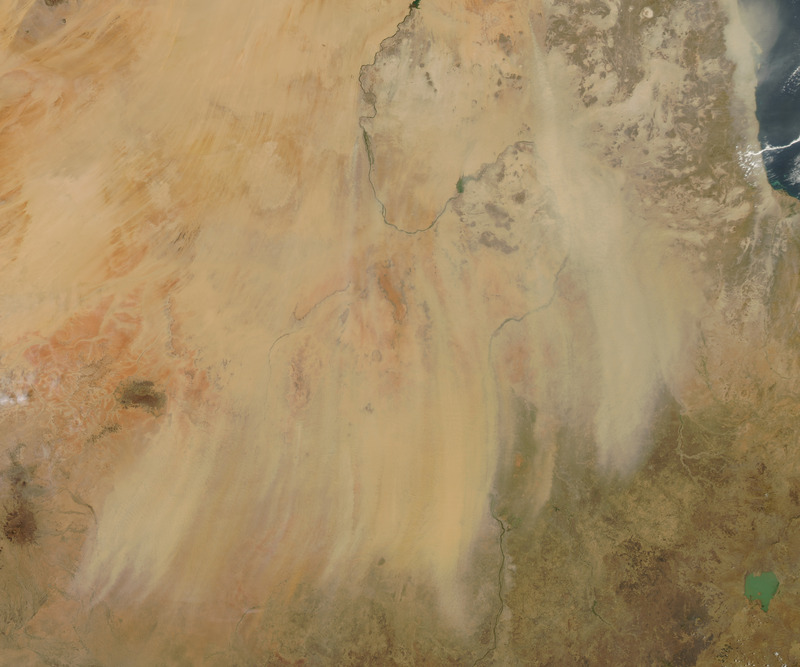 The hot, dry environment ensures that such storms rank among Sudan’s most common natural hazards. 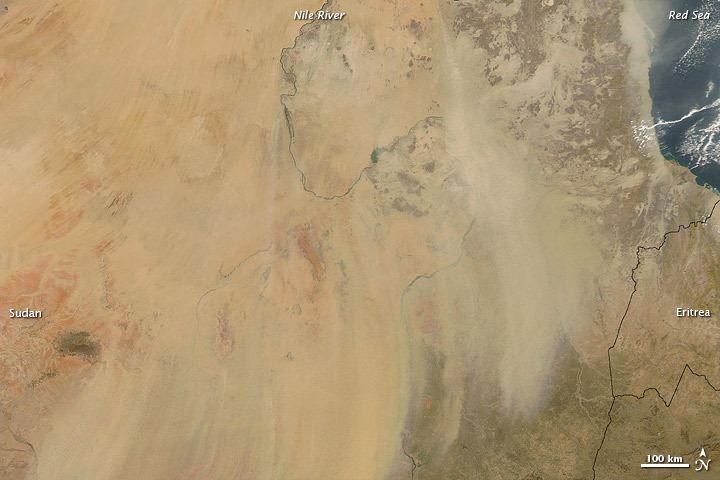 The Nile River snakes its way northward through Sudan, taking a big loop to the east before curving back to the west. The river remains discernible throughout its eastern loop in the morning, but by the afternoon, dust has obscured much of that area. 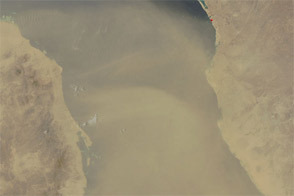 Dust over the Red Sea also increases in the afternoon, although skies in the west appear somewhat clearer. 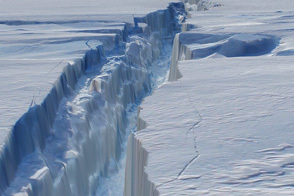 NASA image courtesy LANCE/EOSDIS MODIS Rapid Response Team at NASA GSFC. Caption by Michon Scott. 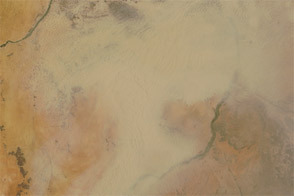 Natural-color images track the progression of a storm in the eastern Sahara Desert. CIA World Factbook. 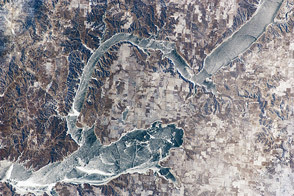 (2012, February 8). Sudan. Accessed February 27, 2012.